Michael Kors has launched Extreme Speed, a new fragrance for men. 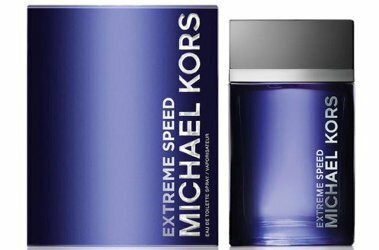 Extreme Speed is a flanker to 2014's Michael Kors for Men, and follows 2015's Extreme Blue and 2017's Extreme Night. Break boundaries with Michael Kors Extreme Speed, designed for the man who commands life with sleek style and energy. Coriander and spices are layered with distinctive woods and patchouli for a modern, dynamic masculinity. Additional notes include pink pepper, cardamom, cumin, cinnamon, lavender, cashmere woods, amber, sage and cedar. Michael Kors Extreme Speed is available in 40, 70 and 120 ml Eau de Toilette. Why choose a name that sounds like a typical deodorant name? Is that their targeted demographic?